Bernstein Sycamore is most recently the author of The End of San Francisco, winner of a Lambda Literary Award, and the editor of Why Are Faggots So Afraid of Faggots? : Flaming Challenges to Masculinity, Objectification, and the Desire to Conform, an American Library Association Stonewall Honor Book. She just wrote the piece “‘Transgender Troops’ Should Be an Oxymoron,” for TruthOut, which states: “On July 1, 2016 [Friday], the Pentagon will announce a lifting of the ban on trans people serving openly in the U.S. military, according to a USA Today article widely cited in gay media outlets. While this has been hailed as a victory for trans rights, it’s hard to imagine anything further from the truth. 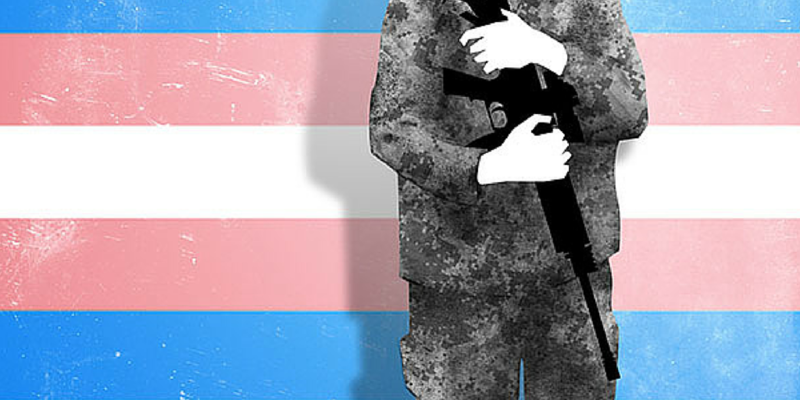 Allowing trans people to serve openly in the U.S. military only furthers the violence of one of the central institutions of global oppression. “In the U.S., trans people are routinely kicked out of their families of origin, harassed in school and at work, persecuted by religious leaders and politicians, and attacked on the street simply for daring to exist. Trans people are often denied access to basic services like housing and health care, fired from jobs or never hired in the first place, and forced to flee the places where they grew up, simply to survive. Trans women, particularly trans women of color, are brutally murdered at an astounding rate.